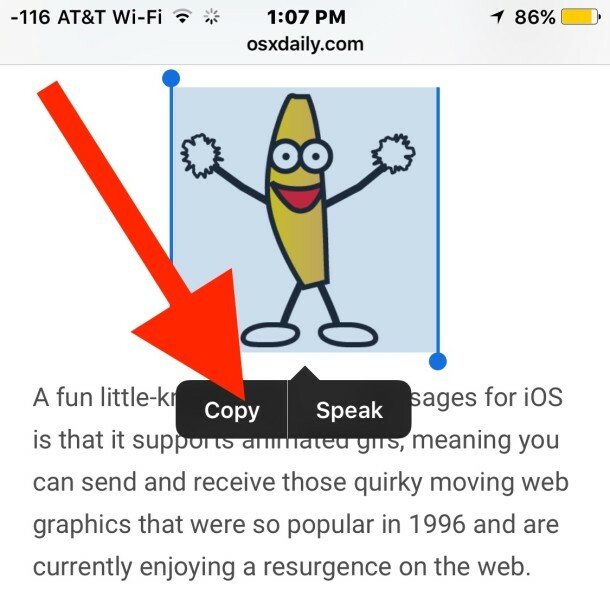 A fun little-known feature of Messages for iOS is that it supports animated gifs, meaning you can send and receive those quirky moving web graphics that were so popular in 1996 and are currently enjoying a resurgence on the web. The only requirement for this feature to work is that both you and the recipient have iMessage configured on their iPhone, iPad, or iPod touch, beyond that it works in all new versions of iOS. 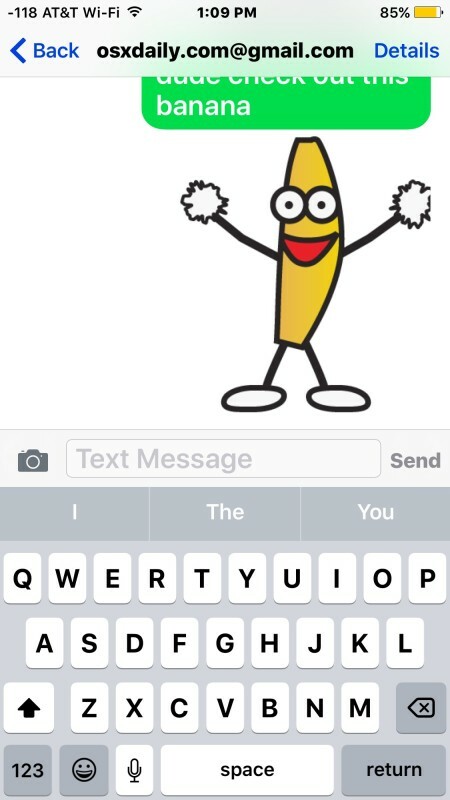 And yes, you can also send animated GIF to Android users too this way, it just sends as a regular media message. 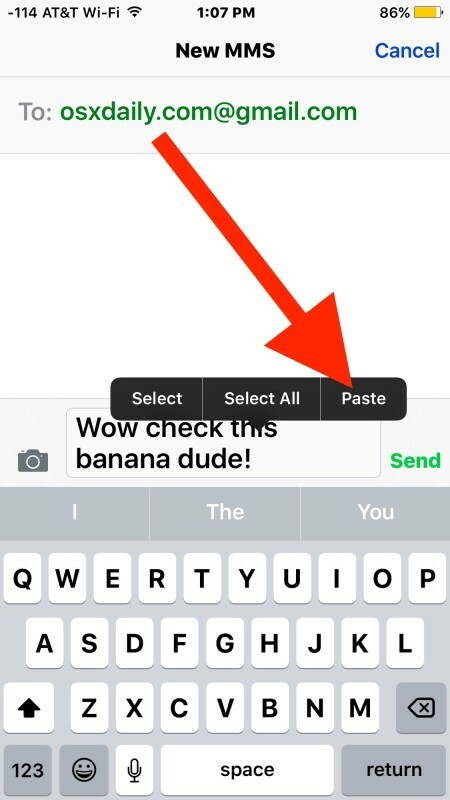 You can try it yourself right now by reading this post from an iOS device, using the lovely dancing banana gif from AccuWeather as an example. Obviously this banana is so good that I had to share it with someone else. Once the gif has been pasted and/or sent, it will immediately start animating in the chat message. The gif animation plays in the Messages window the same for both the sender and the recipient. 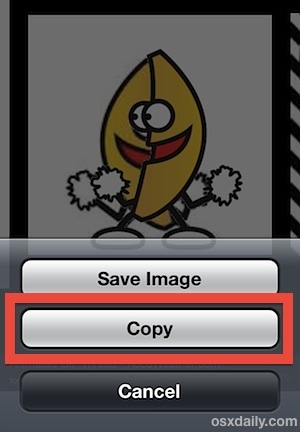 You can also save the animated gif to the camera roll for future access through Photos app, though it’s not necessary to do that if you’re just looking to send one out. 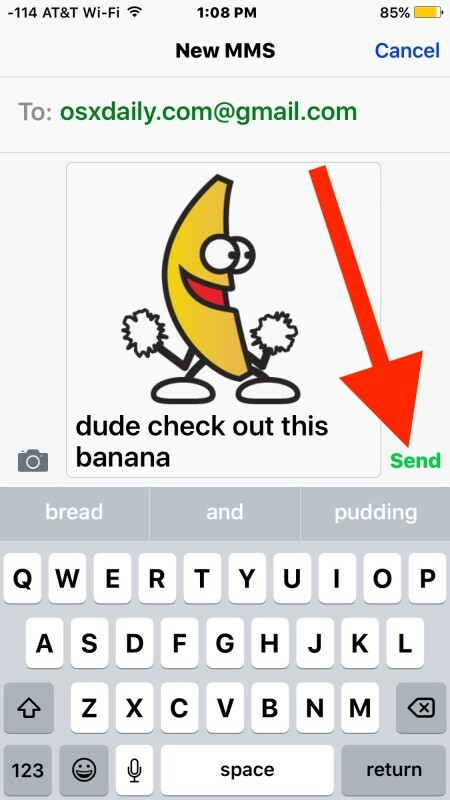 You will find that gifs do not animate when they are stored in Camera Roll however, thus to get it to become animated again you would need to place it into a new iMessage. If you’d rather make your own animated gifs on the iPhone, you can do so directly on the iPhone using a variety of apps. One easy to use and powerful free app for this purpose is GifMill, which makes it easy to convert any video into an animated gif, and also provides editing tools if you want to spruce up your animated gif, delete frames, add filters, or text layovers. You can learn how to make animated GIFs with GifMill here. 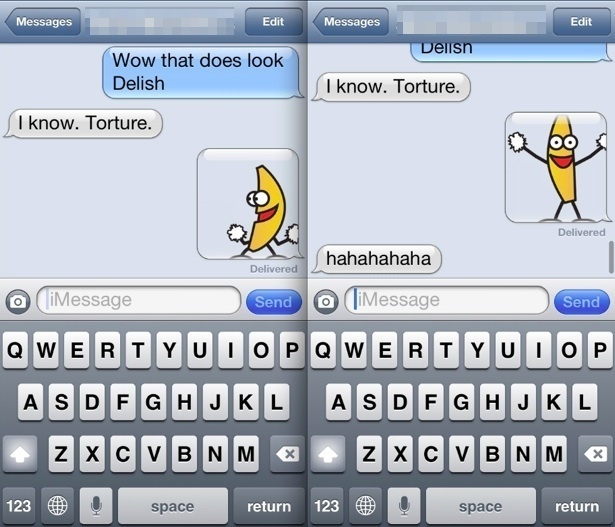 Adding animated gifs into messages is definitely fun, but remember that multimedia heavy message threads can grow quite large and need to be removed from time to time, or else the Other storage can grow to unreasonable sizes on an iPhone, iPad, or iPod touch. How did I not know about this wonderful thing? ?